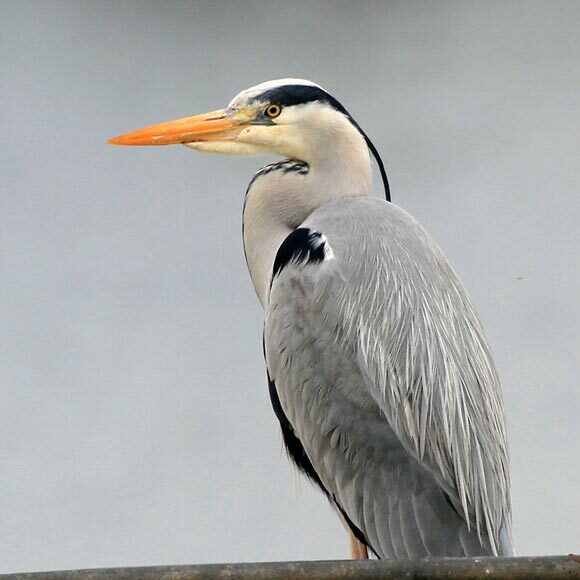 The Grey Heron (Ardea Cinerea, Corr Réisc) is a wading bird, native throughout Europe. It feeds in shallow water, catching fish, frogs, and insects with its long bill. Herons will also eat small mammals and reptiles.